Ah, drinking games. A great way for you and your overly competitive friends to assign winners and losers to imbibing. But what do you do when pong, quarters and kings get stale? You have a drinking game jam (It’s like a game jam, but for drinking!). In a recent blog post, game designer and critic Mattie Brice showed how drinking games can even engage your creative and analytical sides. She and some friends organized the drinking game jam—a giant brainstorm where people just sit around thinking up new and inventive drinking games. 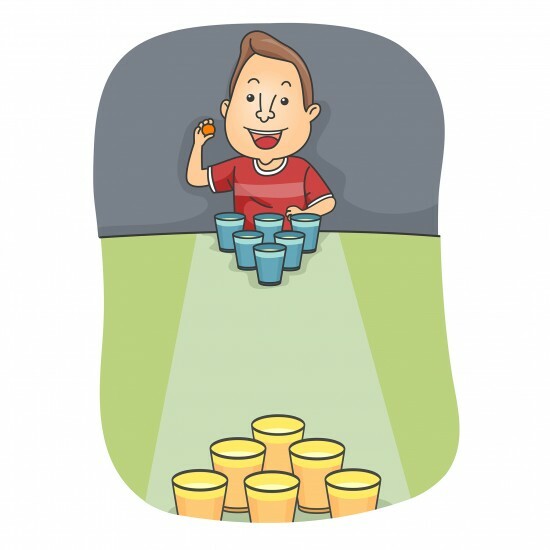 Interestingly, the first step was something people rarely do during drinking games – dissect the point of a drinking game. For instance, is drinking a reward or a punishment? And why are you even drinking in the first place: Is it more about getting to know each other or about getting wasted? These and other question become important when trying to craft a new drinking game out of thin air. Overall, during their jam, Brice and company came up with three new games she was willing to share on her website: a card game called “Stealer’s Will,” a reflex game called “Speed Fist” and a dice game called “Jump Shots.” But frankly, the most fun game of all sounds like organizing your own drinking game jam and getting a little tipsy off of your creativity. The only rule is no one is allowed to drive home. Related: Which College Drinking Game Is Right For You?